Tradition dictates that breakfast is the most important meal of the day. But here at Refinery29, we have no problem bucking convention. Nothing against breakfast, it’s just that dessert is, um, better. But whipping it up, Momofuku-style, isn't always easy. Between work, friends, and having a life, jumping into an elaborate cooking project isn’t always realistic. That's why we’ve whipped up three fail-proof, time-sensitive, cuh-razy good recipes. 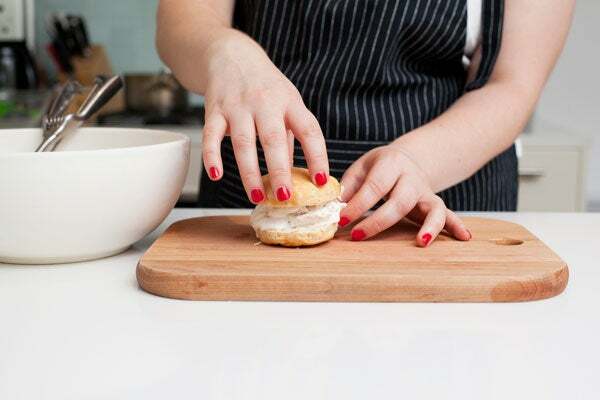 With just a few basic ingredients and a little confidence, you’ll have a dessert worthy of serious admiration. If you can bring yourself to share, that is. 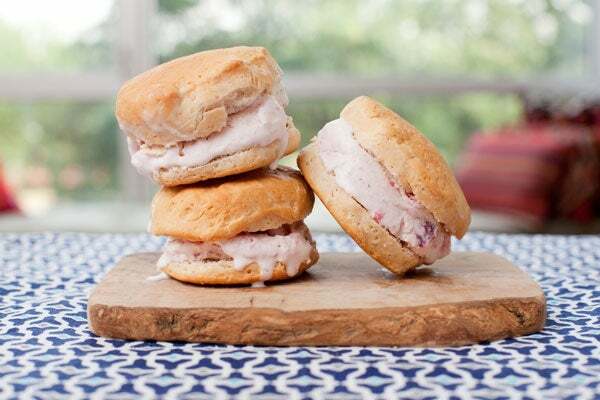 Nothing says summer like a sweet, fruity plate of strawberry shortcake. 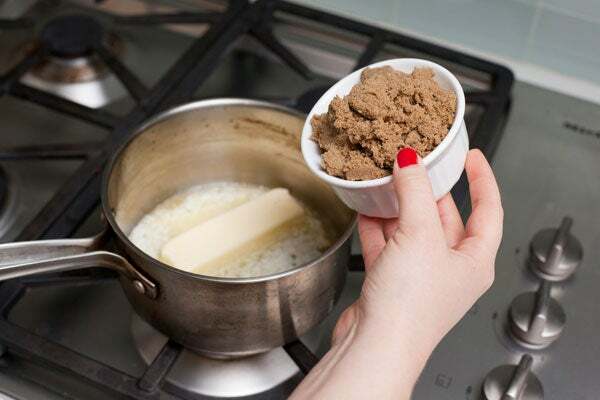 But there’s nothing short about the recipe, except our temper about two hours in when we’re still whipping heavy cream and waiting for biscuits to cool. So, we’re going to skip the drama and go straight to the good stuff. This revamp is just as rich and fluffy as the original, with about sixteen fewer steps. 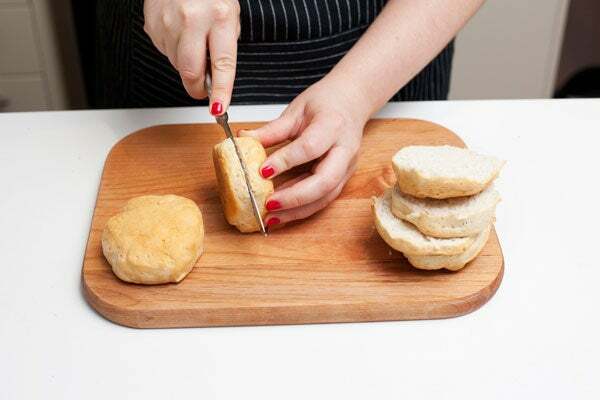 Individual portions can be stored easily in the freezer for over a week, making them a great treat for impromptu summer dinner parties. Or a midnight snack. Or breakfast. 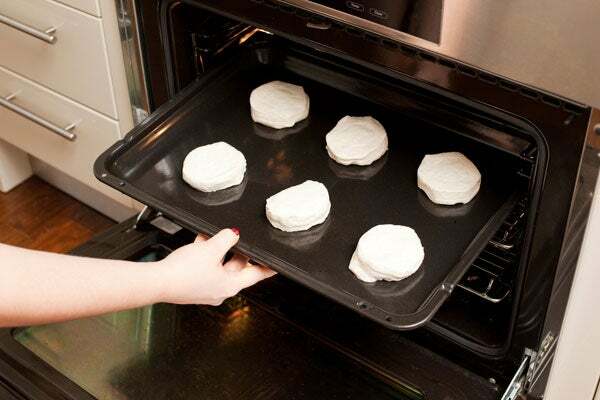 Step 1: Pop open the biscuits, and bake ‘em up as directed. Step 2: Pop 'em in! 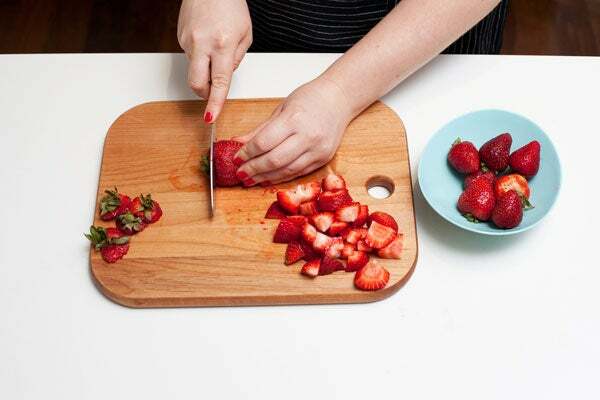 Step 3: Chop strawberries into thick slices. 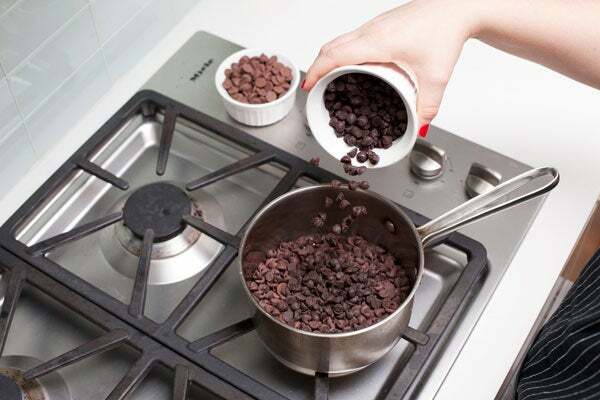 Don’t get too fussy here — they’ll get more smushed in the next step. Step 4: Scoop ice cream into a large bowl. Step 5: Mix in strawberries until well incorporated. 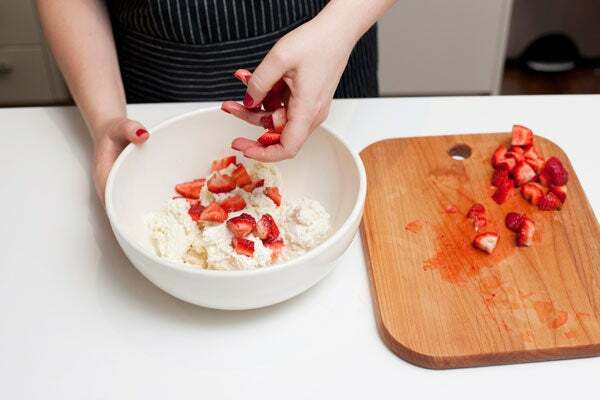 Why are you doing all this chopping and mixing, instead of just buying strawberry ice cream? Simple: it tastes better. 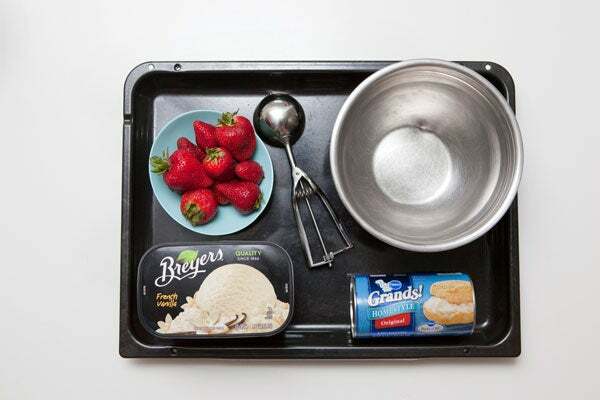 Generally, strawberry ice cream isn’t made with high-quality vanilla. And who wouldn’t take a fresh, juicy berry over one that’s been frozen for months? 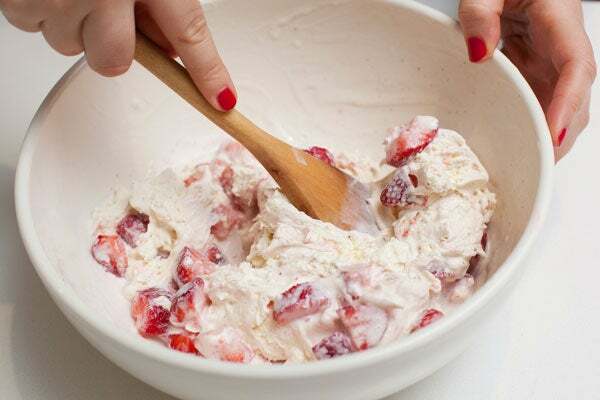 What you’ve just whipped up will taste as rich, creamy and fresh as ice cream made from scratch. Don’t believe us? Take a taste (like you haven’t already). 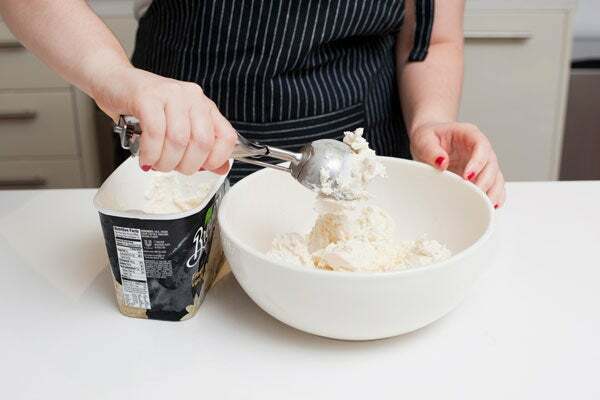 Step 6: If your ice cream is too mushy to scoop, just pop it back in the freezer for a few minutes while you prep the next step. Step 8: Spoon about a half-cup scoop onto to the bottom slice. Step 9: Replace the top. 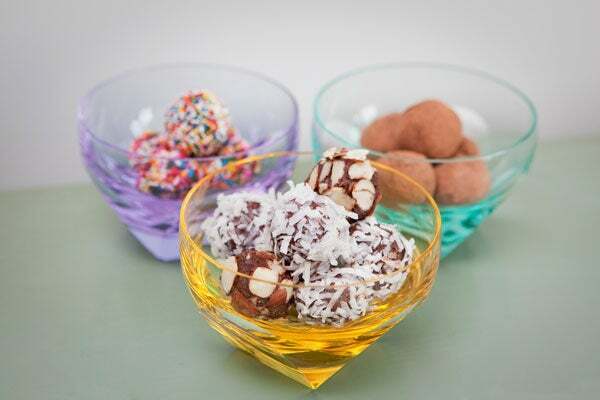 We love serving up sweets to our guests – but doing their dishes? Not so much. 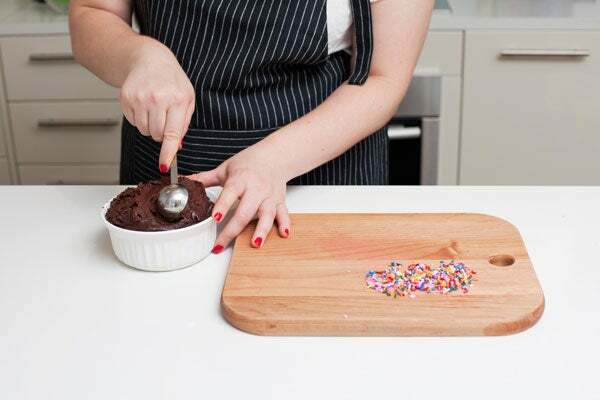 This dessert serves your inner lazy girl before and after the meal. 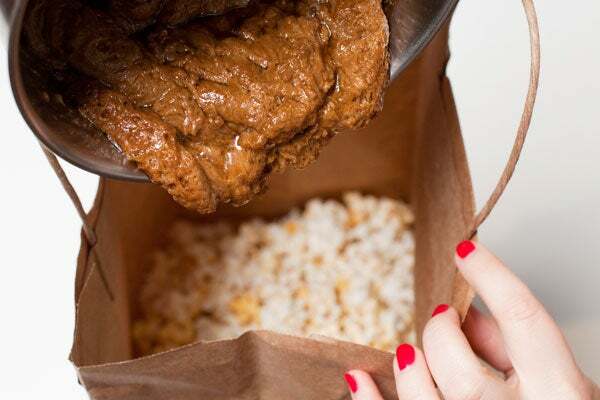 It requires exactly 2 pieces of equipment: a pot, and a paper bag. 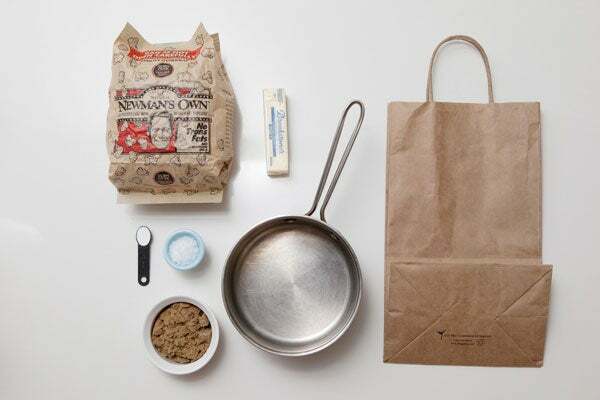 Those tools + 5 Ingredients ÷ 10 minutes = one of the most popular treats you will ever serve (this is a proven fact). 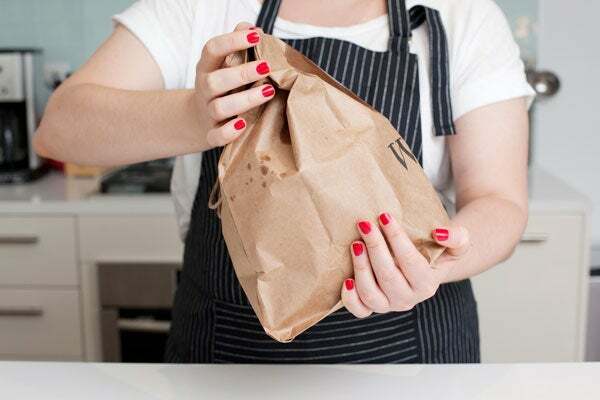 When you’re really in a jam, this crowd favorite will keep the guests happy, the kitchen pristine, and the hostess very popular. 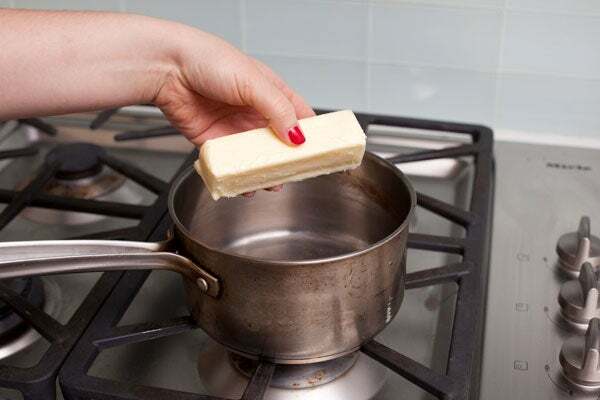 Step 1: Place a stick of butter into a heated saucepan at medium-high heat. 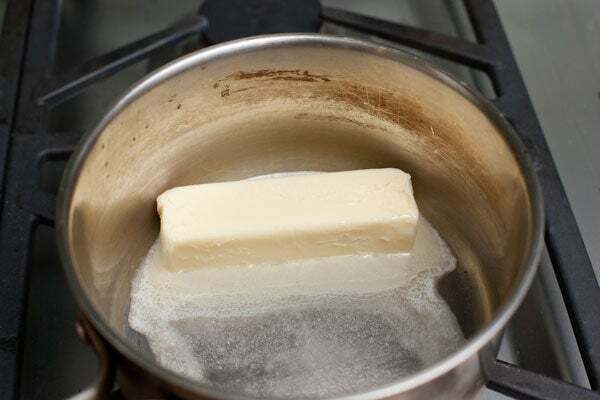 Step 2: Melt sugar into it. Step 3: Whisk continuously to combine, until it starts to bubble. 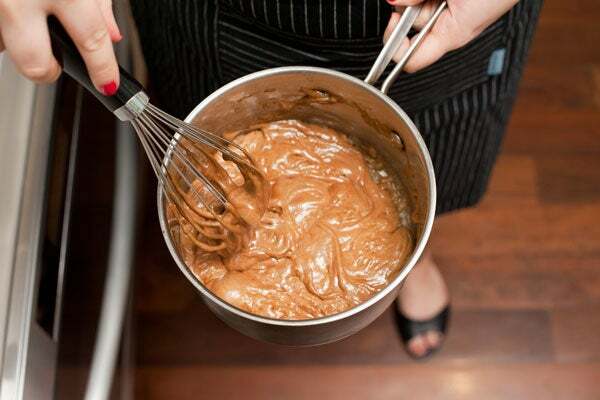 Let the caramel bubble for another minute or so – it’ll start to look like, duh, caramel. 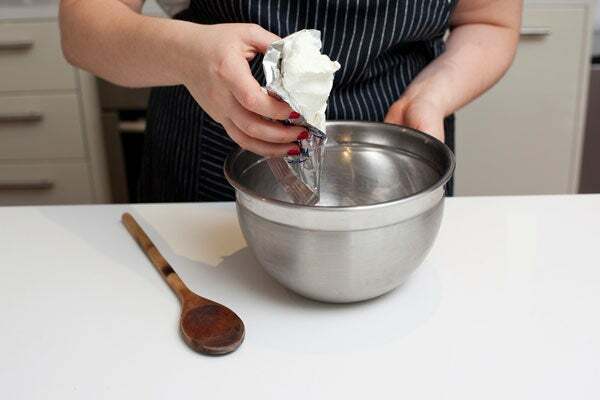 Step 4: Remove from heat and whisk in the baking soda. Make sure it's all incorporated. 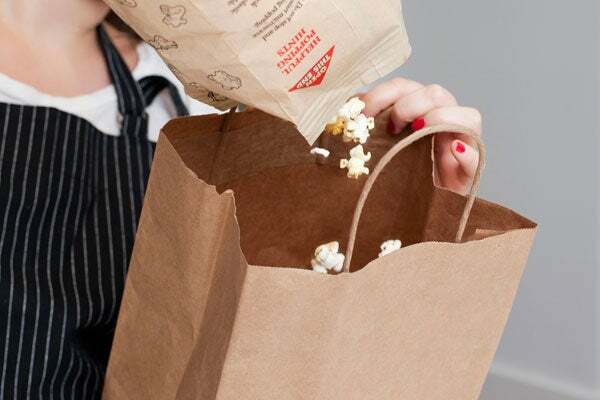 Step 5: Empty microwave popcorn into a large paper bag. 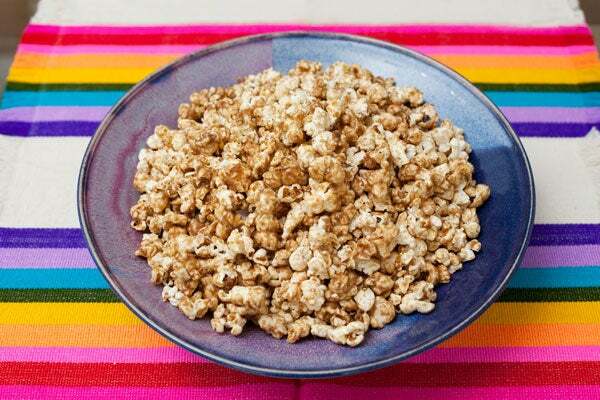 Step 6: Immediately pour the caramel mixture over the popcorn. Step 7: Fold the bag shut and shake, shake, shake. 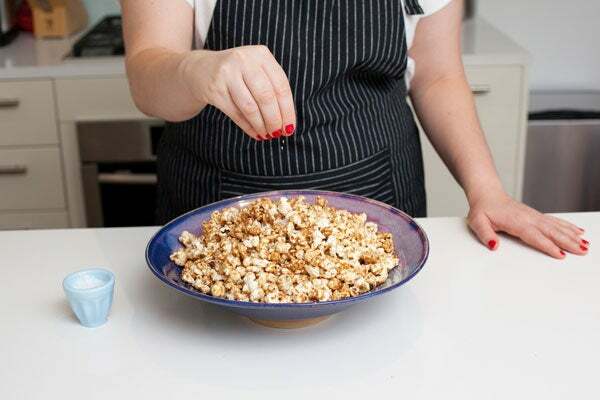 Step 8: Pour into a large serving bowl and sprinkle with sea salt. 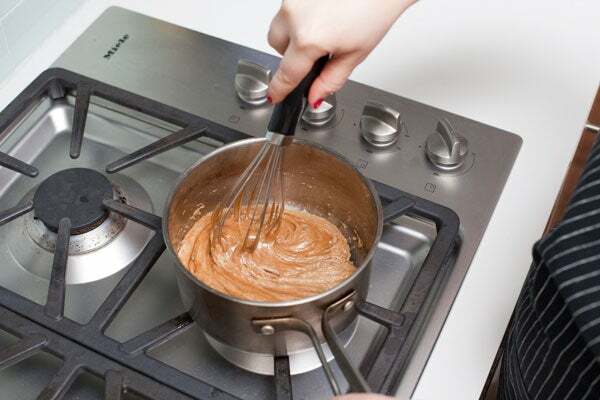 The caramel will dry on quickly, and then you can break up any remaining stuck-together-bits easily. Place in the middle of the table, and watch as your guests lunge forward. Beam with pride at the feeding frenzy. Repeat, as needed. 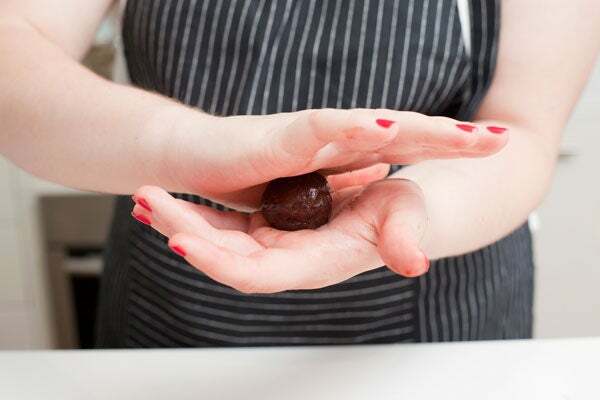 When we think of truffles, most people think of the decadent, crazy-rich, ooey-gooey chocolate treat displayed in the windows of fancy-pants confectioners. This is the exact same thing – minus the fancy pants. We’ve replaced the traditional ganache base with one that takes about a half the time and a tenth of the skill level. Basically, you get a bunch of chocolate together, stir in some cream cheese, and roll it in something pretty. In your face, Wonka. 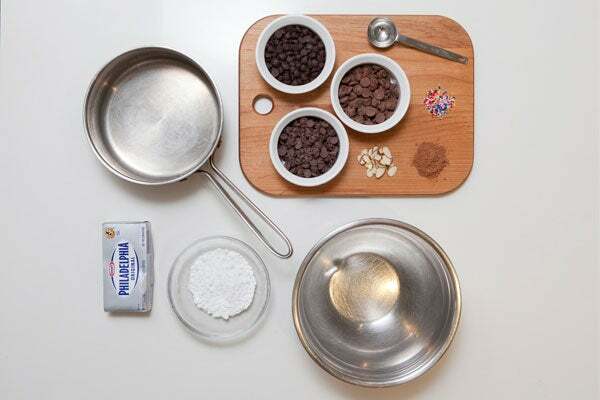 Topping Options: Cocoa powder, espresso, coconut, sprinkles, sliced almonds, corn flakes, marbles, telephones, junk mail – you get the picture? 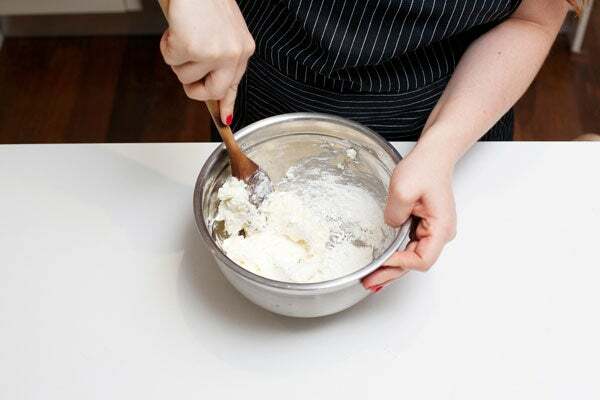 Step 1: Place a slab of cream cheese into a mixing bowl. 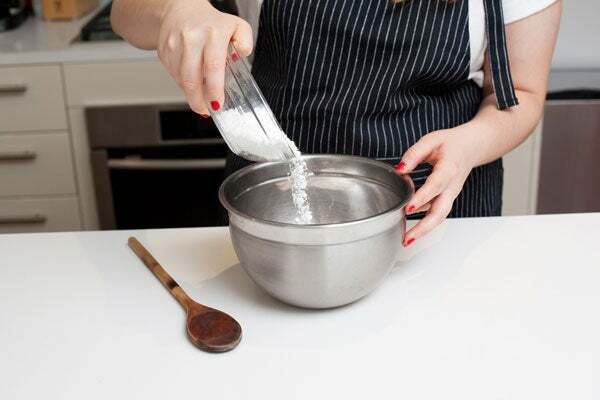 Step 2: Add the confectioner's sugar. Step 3: Cream the two together. This will be more like mashing at first, but it’ll start to smooth out after a minute. 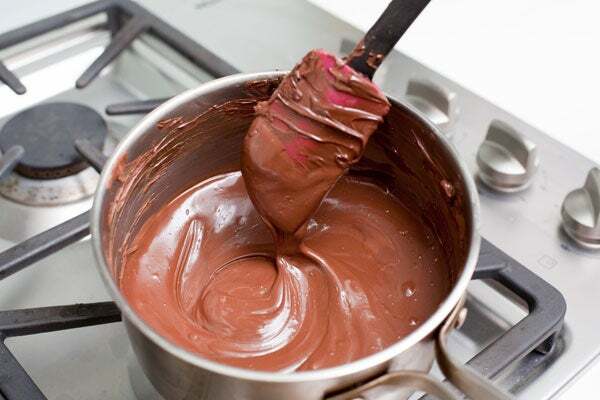 Step 4: Melt all three chocolates together in a saucepan and whisk until combined. Try your very best not to eat everything right now. 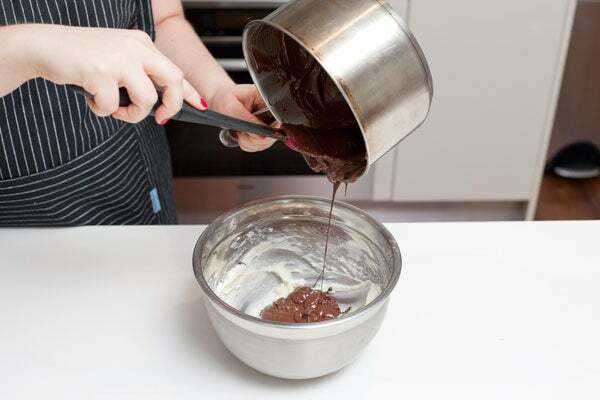 Step 5: Pour melted chocolate over cream cheese mixture. Step 7: Let your chocolate chill in the fridge for about an hour (30 mins in the freezer, if you’re in a hurry). Note that this base will keep in the freezer for up to a month. 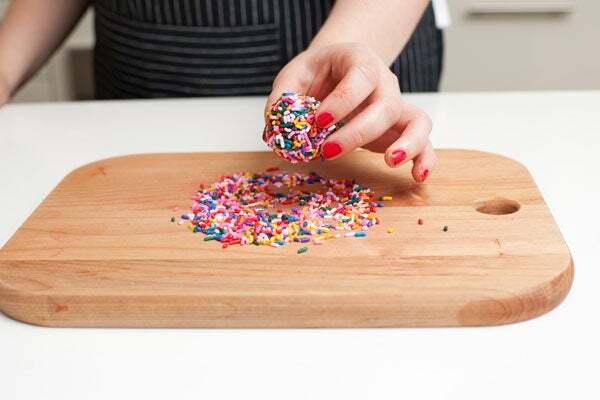 As you’ll see, a little goes a long way, so you may have some left over — keep it. 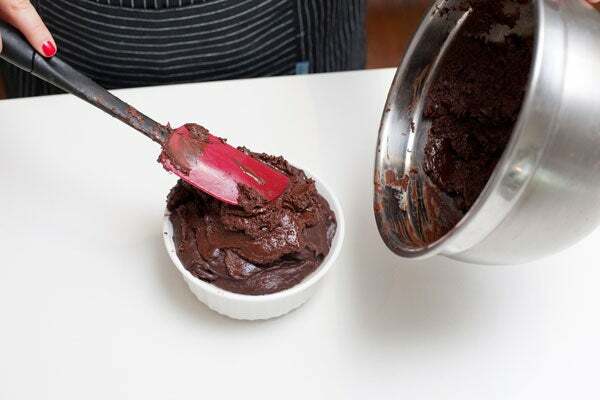 Step 8: Using a tablespoon or melon-baller, scoop a lump of chocolate out of the bowl. Have your toppings ready! Step 9: Roll the chocolate into a ball-ish shape. 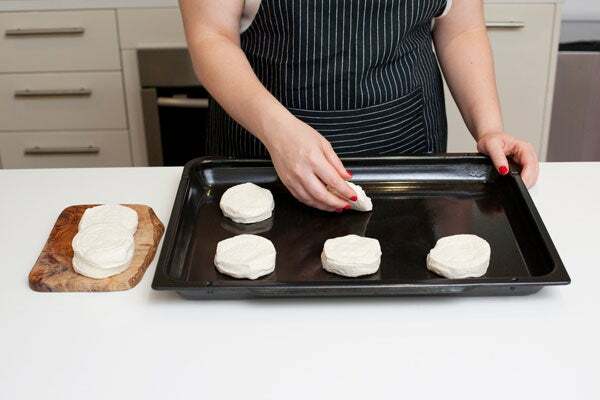 The heat from your hands will soften the mixture and allow you to mold it as you go. 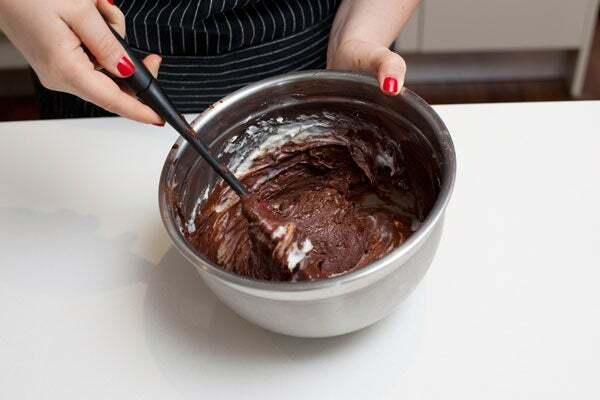 Step 10: Roll the truffle in your topping of choice. Often, it’s easier to perfect the ball shape during this step. But honestly – who cares if it’s an imperfect sphere? There is no such thing as an imperfect truffle.